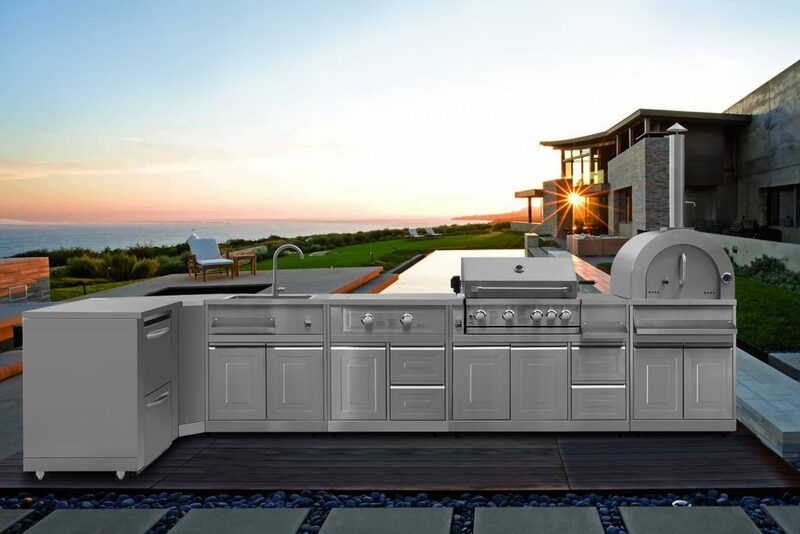 THOR Kitchen®, a manufacturer of pro-style kitchen appliances, has introduced its new 8-piece Modular Outdoor Kitchen Suite at the Kitchen and Bath Industry Show in Las Vegas, Nevada in February. The kitchen suite includes 24” indoor/outdoor refrigerator drawers, pizza oven, side burner with bottom cabinet, grill, grill cabinet, sink cabinet, corner cabinet, and appliance cabinet. THOR Kitchen’s new 8-piece Modular Outdoor Kitchen Suite brings the indoor pro-style kitchen aesthetic outdoors at an affordable price. THOR Kitchen is a manufacturer of mass-premium pro-style kitchen appliances, offering the first full suite of some of the most affordable pro-style kitchen appliances on the market today. Based in Southern California, THOR provides all of the power and performance of a premium appliance, built to the highest standards of quality, style, and energy efficiency, all at a practical price.